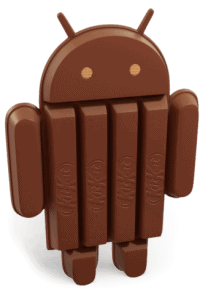 Android 4.4.2 KitKat, the latest version of Android, has recently begun to be delivered to a large number of devices from different manufacturers. Although according to recent numbers KitKat powered only 1.4% of Android devices (if we are to completely trust the updates Android Platform distribution) it looks as if these are going to change in the near future. Samsung has started delivering Android 4.4.2 KitKat update to the LTE version of its flagship phone Samsung Galaxy Note 3 but it is somehow still unclear as to when this update will be rolled out to its other 2013 flagship phone, the Samsung Galaxy S4. So in order to make the wait a little more fun, the guys at Sammobile got hold of an Android 4.4.2 test build for the Galaxy S4. It is possible that the official KitKat update will be released by Samsung somewhere around March but, as we said earlier, we cannot be sure of that. Nevertheless, this leaked version is indeed a very good one that brings more stability and significant improvement. And by improvement we mean that the overall speed has been upgraded and certain bugs have been addressed and fixed. But one of the most noticeable aspects is the fixing of the multi-tasking bug which was present before. There are of course the classical Android KitKat changes, such as the transparent status bar with white status bar icons, slight improvements in speed , the landscape keyboard has been upgraded and there is now a camera shortcut directly in the lockscreen. Before you proceed with this installation you should be aware of the fact that you are responsible for your own actions and thus for whatever happens to your phone during this process. You will not loose your warranty but you will lose all of your data. This build is also not an official one. Choose to wipe/factory reset. Either way you will lose your data. Choose reboot and then the process should be over. As always you should feel free to leave a comment in the comment section below and tell us what you think of Android 4.4.2 leaked test build if you try it.